Mahandru Events, in partnership with Aristo Developers and _____________ Legal Services, returns to Dubai, UAE for the first annual Investment Migration Summit which takes place on 21st January, 2017 at the Shangri-La Hotel Dubai. The half day conference provides one of the most up to date and comprehensive view on the world’s immigrant investor programs putting special emphasis on the Cyprus Residency and Citizenship program through Real Estate Investment. This year’s event is expected to bring together 150+ industry professionals such as immigration lawyers, migration advisory firms, property developers, tax firms and Government representatives, migration agents, wealth managers, family offices, and potential investor clients. “We are thrilled to be partnering with Aristo Developers and ______________ for this year’s Summit in Dubai. With our extensive on the ground experience and understanding of the Middle East investor market together with the reputation of the participating partners, we believe year’s Summit will meet and exceed expectations.” said Raheel Sheikh, Managing Director of Mahandru Group. Ever since Android became the de facto mobile operating system for most smartphone manufacturers, we’ve always wanted to see a Nokia smartphone running Android. While we did get to see a stilted fork of Android on the Nokia X (review) and XL, the dream of a true-blue Nokia Android phone for many fans never really came to life. But wait… for the past few months we’ve been hearing a lot about Nokia-branded Android smartphones coming in 2017. In fact, the latest news at the time of writing this article is that Nokia smartphones will be announced at the Mobile World Congress (MWC) – arguably the most popular trade show in the world for smartphones – in 2017. While all this sounds great, there is a catch and you might not like the sound of it. 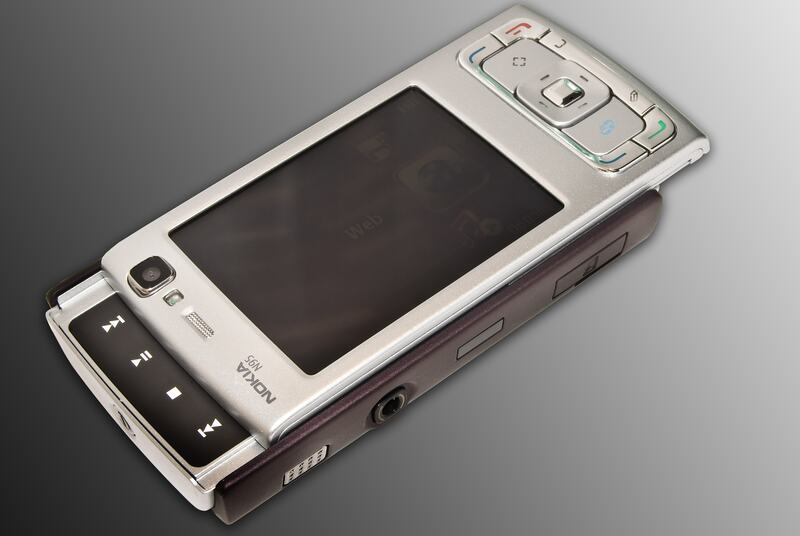 The Nokia Android phones of the future are not being made by the same Finnish company we knew and loved in the past. Allow us to explain. Microsoft acquired Nokia’s mobile and services division in late 2013 for $7.5 billion — just for comparison Facebook acquired WhatsApp for $19.7 billion — to bolster the manufacturing of smartphones running its proprietary Windows Phone operating system. The Lumia-branded smartphones were conceptualised and made mostly in Nokia’s Finland plant. However, it is widely believed that acquiring Nokia was a bad business decision for Microsoft. Which is precisely why Microsoft ended up writing off the entire purchase by paying a $7.6 billion impairment charge in July 2015. The company also cut close to 7,500 jobs, catastrophic to say the least. The situation was so bad that Finland actually criticised Microsoft for breaking promises and wanted the Redmond tech major to find jobs for the laid off employees. If you are wondering what happens to Lumia smartphones… it is being reported widely that Microsoft is consolidating the entire smartphone division to make a Surface phone: one for the loyalists, and, of course, to realise its ‘Windows on every device’ strategy. Furthermore, it would be safe to assume that the Nokia that made some iconic phones – like the Nokia 3310, Nokia N95, Nokia E63, and more – has moved on. The company’s realigned strategy now aims at manufacturing equipment for mobile networks and broadband infrastructure. In America, Nokia makes infrastructure for major networks like AT&T and Verizon Wireless, and in India Nokia networks was pivotal for setting up Airtel’s 4G network in Maharashtra. Now, where does that leave Nokia-branded Android smartphones? This is where the confusing part begins and you might want to concentrate hard on each and every word. Firstly, you need to know that Foxconn has a subsidiary called FIH that offers product development and after sales services for phones. Also, a new private-equity-backed Finnish group was formed recently by former Microsoft and Nokia employees called HMD Global Oy. 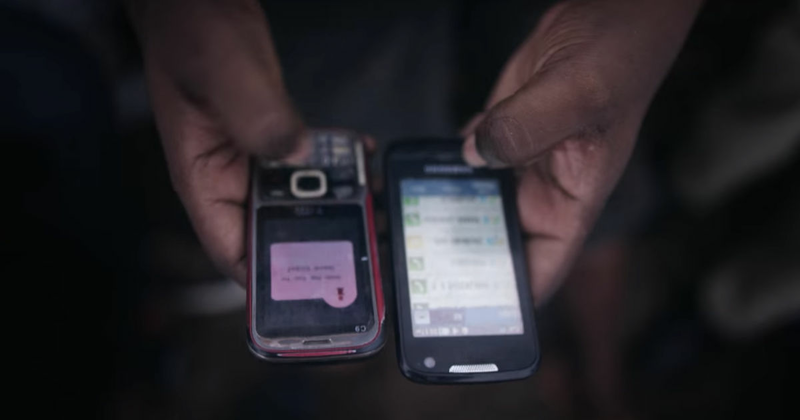 Coming to the most important point, Foxconn and HMD paid Microsoft $350 million for its feature phone division. Yes ‘feature phone division’, you read that right. However, this begs the question – who is making these Nokia-branded Android smartphones, slated for launch next year at MWC, if Foxconn and HMD purchased only the feature phone division? So essentially, the duo of Foxconn and HMD has also inked a separate agreement with Nokia itself — the company that is now more concerned about network equipment than anything else. According to this agreement, Foxconn and HMD will work together to make new smartphones and tablets running Android, and use the Nokia brand name to sell it across the world. In return for using the brand name, Nokia gets a seat in the board of HMD in spite of the fact that the Finnish brand hasn’t invested a single penny in the private-equity backed company. Furthermore, Nokia will be paid a per-device licensing fee for using its brand name. This deal is expected to be completed by the end of this year, which is possibly why we are taking an educated guess that HMD’s presence at MWC 2017 indicates the company will showcase new Android smartphones in Barcelona. To sum it all up, Nokia-branded Android smartphones are coming next year but those will not be made entirely by Nokia but by Foxconn and therefore it might not share the same DNA of Nokia devices from the past. What you might get is a Nokia Android phone that could be just like any other Android phone from any manufacturer because Foxconn makes most of them anyway. Augmenting this theory is the fact that a large chunk of the money to buy Microsoft’s feature phone division was actually put in by Foxconn. Having said that, there is still a strong Nokia connection in the new entity HMD because the CEO of HMD is Arto Numella, head of Microsoft’s Mobile Devices business for Greater Asia, Middle East and Africa, and an ex-Nokia employee. And, the President of HMD is Florian Seiche, who served as the Senior Vice President for Europe Sales and Marketing at Microsoft Mobile, and has worked with Nokia before. This does give us some hope that Nokia’s Android smartphones will have their own unique character. Let’s wait and watch until MWC 2017. 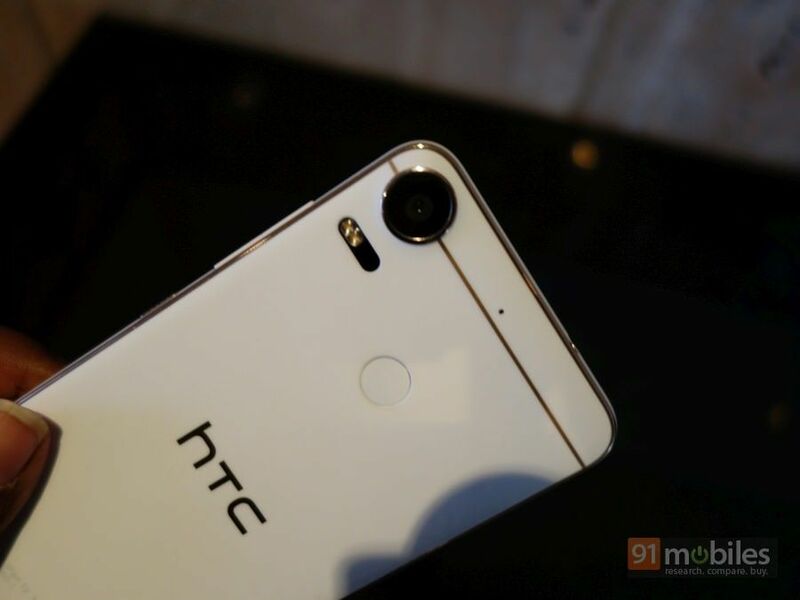 Recently launched exclusively for the American market, the HTC Bolt was showcased in India at an event with a new moniker, viz. the HTC 10 evo. The smartphone seems like a mix of some jaw-dropping features and other standard bits. 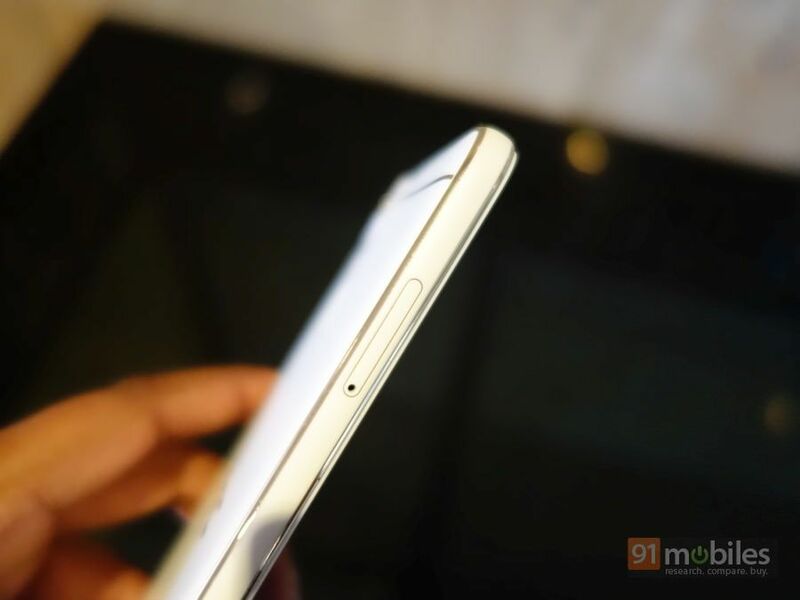 While the 10 evo will only be available in India next month, we tried our hands on it and here’s what we think. Crafted out of metal, the 10 evo is IP57 certified for protection against dust and water. That isn’t the only assurance of durability we got, since the build of the device felt pretty solid. It did feel chunky in the hands and slightly heavy as well, but the weight only added to the grip, as did the matte finish and chamfered edges on the phone. The HTC 10 evo looks understated yet stylish. The only qualm we had with the design was smudges and the fingerprints that the phone kept collecting. While most of the ports and buttons placement remains standard, the HTC 10 evo omits the 3.5mm headphone jack and instead uses the USB type-C port for both charging and connecting the earphones. 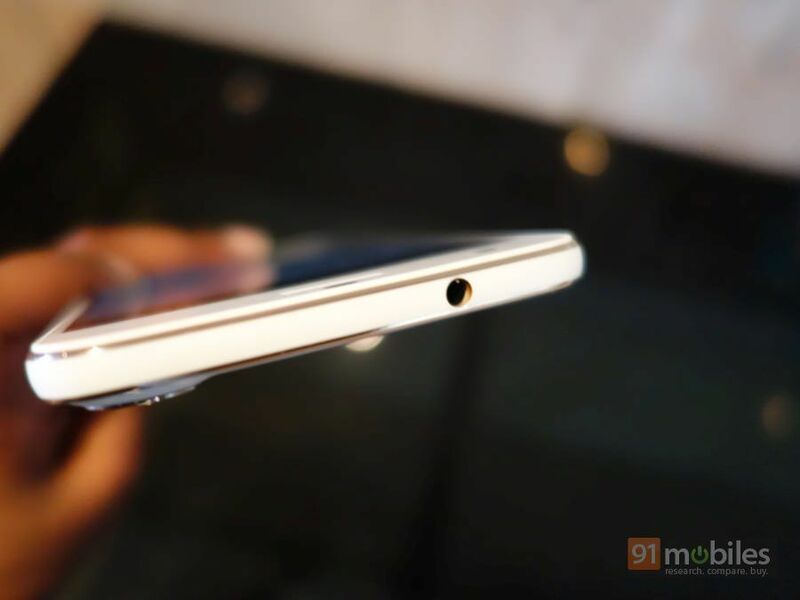 The reason why the brand has gone for a Type-C audio port is to make the smartphone compatible with Hi-Res BoomSound Adaptive Audio. The company claims that the bundled earphones map the reflected sound waves from the user’s ears like a SONAR, and creates a personalised audio experience. The HTC 10 evo gets a 5.5-inch 2K display with a layer of Corning Gorilla Glass 5. The display looked really sharp, and the screen brightness was more than you can ever ask for… we’d think the sunlight legibility should be great on the smartphone. Under the hood, the evo is powered by a Snapdragon 810 chip and there’s 3GB of RAM to go alongside. While the processor configuration sounds decent enough for smooth everyday use, we will wait till we can try it out properly before commenting on performance. Software-wise, the smartphone runs Android Nougat out of the box and is one of the few smartphones to do so. The interface is mostly stock and the phone does not come with much bloatware. That said, you will find a few preloaded apps like Facebook, Messenger, Instagram and more. There’s only 32 gigs of built in storage which is a little disappointing. What’s more disappointing is just 20GB of available storage. 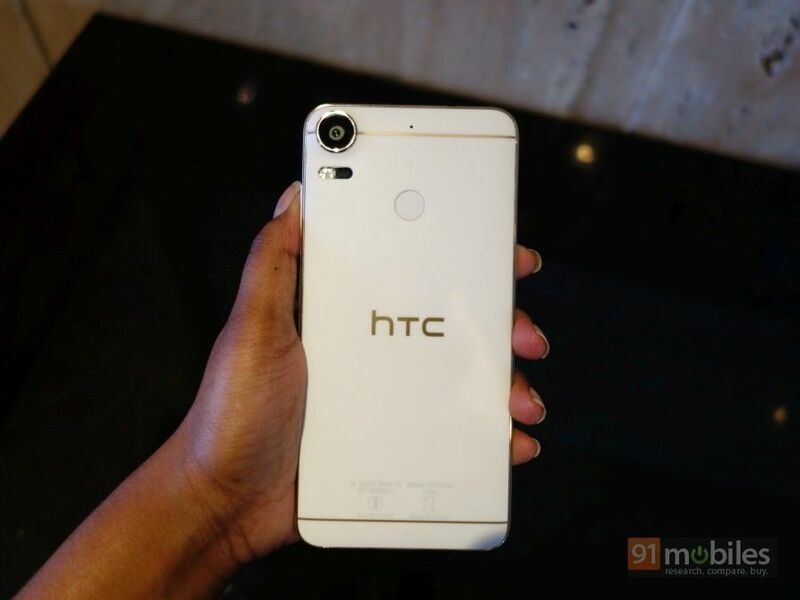 The HTC 10 evo gets a 16MP primary camera with phase detection autofocus and a BSI sensor. Up front, it utilises an 8MP BSI camera. The default camera app has a few useful shooting modes, while the overall UI looks minimal. The phone is capable of shooting 4K videos as well. We tried to click a few pictures and found the shutter speed to be impressive. The camera captured good details as well, for the lighting we were in. However, we’ll be able to put out our final verdict on the shooting prowess of the 10 evo in our full review. The phone is backed by a 3,200mAh battery, and considering that the phone ships with a 2K display, we wonder if it can drive the phone through a full day. However, there were a few power saving modes that we saw which will be of use in situations of power crisis. Since there’s no word on the pricing of the smartphone, and the specs are a mixed bag, we can’t say what rivalry the HTC 10 evo will face when it comes to the Indian market. However, we will have more on the device as soon as the details are announced… so make sure you keep watching this space. In 2011, when the first Samsung Galaxy Note was announced, we expected it to be another one of those devices which just come and go without creating much excitement. With a screen size of 5.3-inches, the device was deemed too big to be carried comfortably. 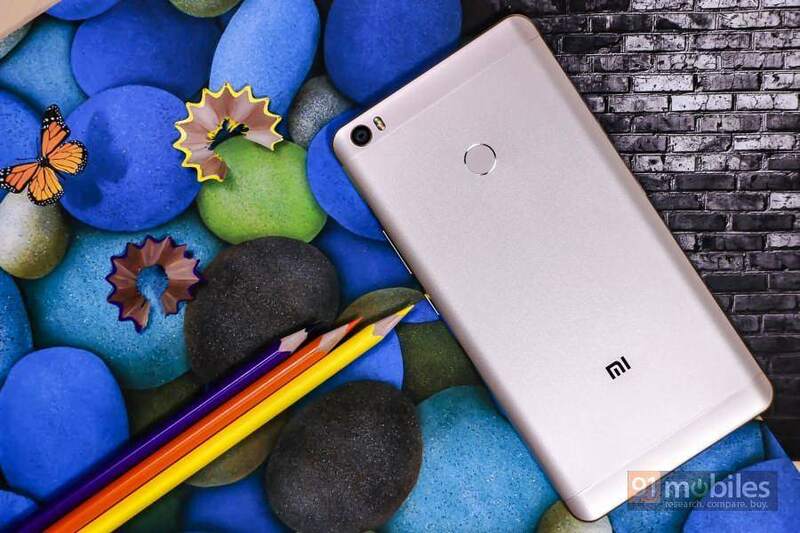 Xiaomi’s Mi Max (review) is arguably the best available smartphone in the 6-inch+ smartphone segment. The device flaunts a 6.44-inch full HD display with an equally massive 4,850mAh battery to back it up. Not to forget the beautiful metal unibody design and the fingerprint scanner. In addition to this, the Xiaomi Mi Max comes with a Snapdragon 650 or 652 SoC, up to 4GB of RAM and up to 128GB of onboard storage. For the optics, the device gets a 16MP/5MP camera combo (camera review). The phone runs MIUI 8 built on top of Android Marshmallow. The Snapdragon 650 variant of the device (with 3GB RAM and 32GB storage) is priced at Rs 14,999, while the Snapdragon 652 variant (with 4GB RAM and 128GB storage). 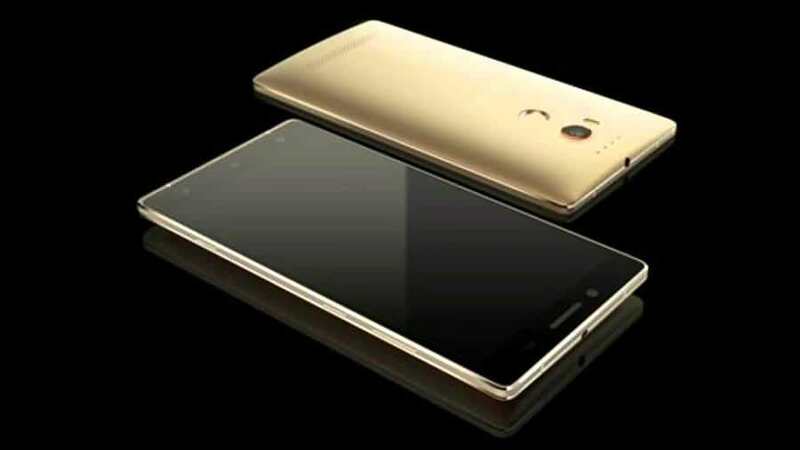 Lenovo has recently launched the PHAB 2 Plus phablet in India. Priced at Rs 14,999, the 6.4-incher features full HD resolution and a metal unibody design with a rear fingerprint scanner. The key features of the device include its dual 13MP rear cameras which come with laser autofocus and phase detection autofocus, as well as an augmented reality mode which lets you create photos and videos with superimposed effects such as virtual backgrounds. 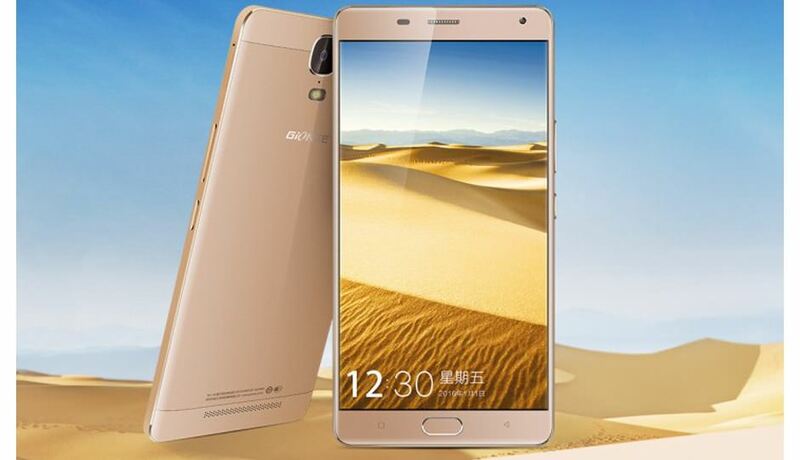 Other specs of the device include a 1.3GHz octa-core MediaTek MT8783 SoC, 3GB of RAM, and 32GB of expandable stage. The phone is available exclusively via Amazon India. The ZenFone 2 Laser ZE601KL flaunts a 6-inch full HD canvas that is protected by Corning Gorilla Glass 4. Under the hood, it is powered by the Snapdragon 616 chipset coupled with 3GB of RAM, and a 3,000mAh battery. 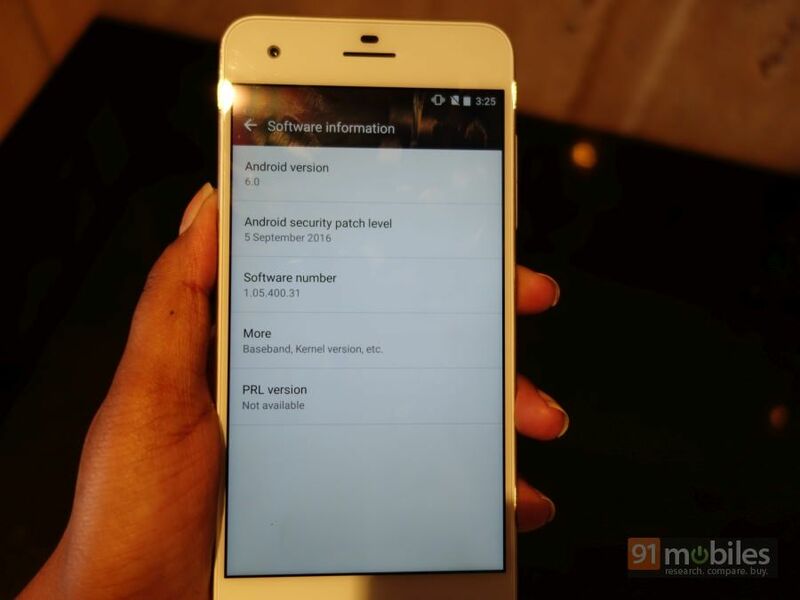 The phone runs the slightly old Android 5.0 Lollipop with the company’s ZenUI on top. 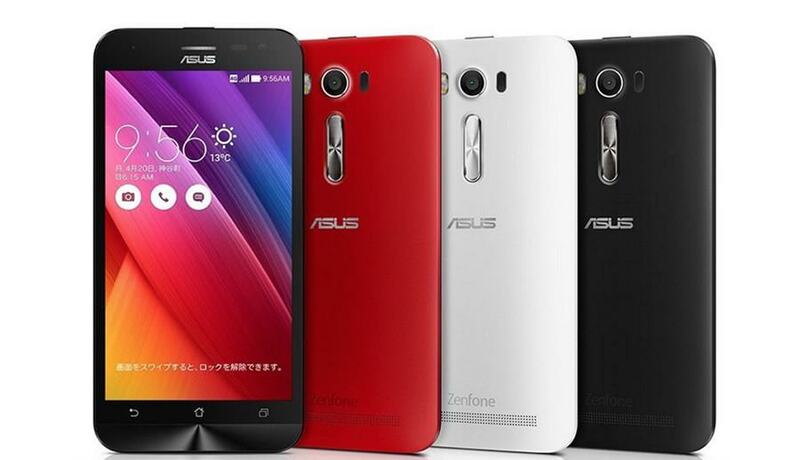 For shooting, the ZenFone 2 Laser includes a 13MP rear camera, along with a 5MP selfie shooter. 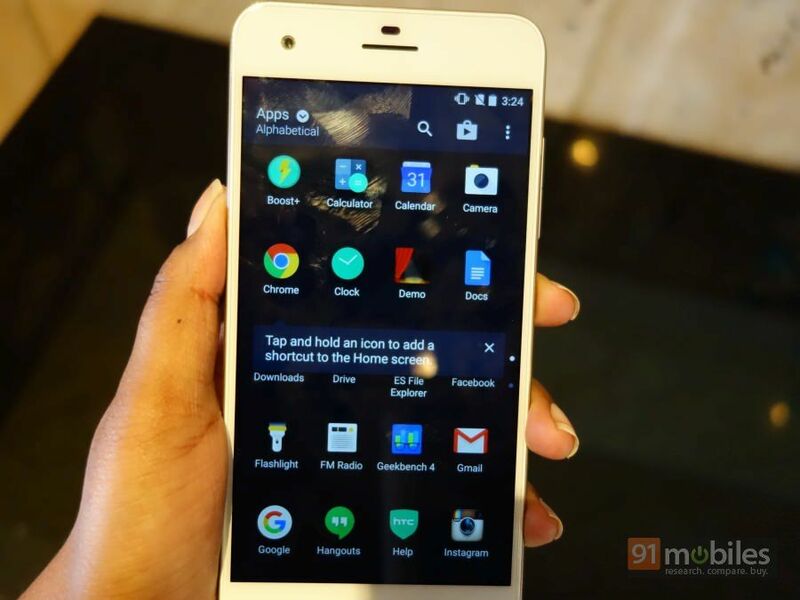 The smartphone is available at a price of Rs 17,999 across various e-commerce platforms. Micromax’s sub-brand YU Televentures also released a 6-inch phablet, dubbed the YU Yureka Note. Featuring a full HD panel, the device is powered by an octa-core MediaTek SoC, offering 3GB of RAM, and 16GB of internal memory that can be expanded further. Running Android 5.1 Lollipop, the smartphone features a Smart PA technology to amplify sound output. There’s a 13MP rear camera supported by an 8MP snapper in the front. The smartphone packs in a 4,000mAh battery and is available at Rs 12,980 on Amazon India. The Gionee Marathon M5 Plus (review) has received its share of price cuts in the country, making it eligible for our round up. The device flaunts a 6-inch full HD display and is powered by a MediaTek MT6753 SoC, mated to 3GB of RAM. The highlight of the device is its massive 5,020mAh battery that supports fast charging and promises long battery life for power-hungry users. What’s more is that it features a USB Type-C port that is slowly and steadily becoming the norm for smartphones. For the optics, the Marathon M5 Plus comes with a 13MP primary camera and a 5MP front shooter. Lenovo also offers the PHAB Plus smartphone, which comes with a 6.8-inch full HD display and a 3,500mAh battery. It’s powered by a Snapdragon 615 SoC coupled with 2GB of RAM. Another power-packed option is the Qiku Q Terra 808 (review) that is available on Snapdeal for as low as Rs 13,999. The 6-incher features a Snapdragon 808 SoC, 3GB of RAM as well as dual 13MP rear cameras. AirSelfie is the only portable flying camera integrated into your mobile phone cover. AirSelfie is the world’s smallest portable flying camera. Who said selfies were confined to sticks? With this ground-breaking device you’ll be able to snap aerial photos directly from your phone. Sky’s the limit. AirSelfie is a registered trademark and all its components are protected by filed and grantend patents. Take AirSelfie out of its cover and launch it from your phone using the AirSelfie app available foriOS and Android. Land AirSelfie onto your open hand and place it back in its case where it will be recharged. The pics will be immediately downloaded to your mobile device via wifi, ready to be sharedthrough your favourite social media platform. 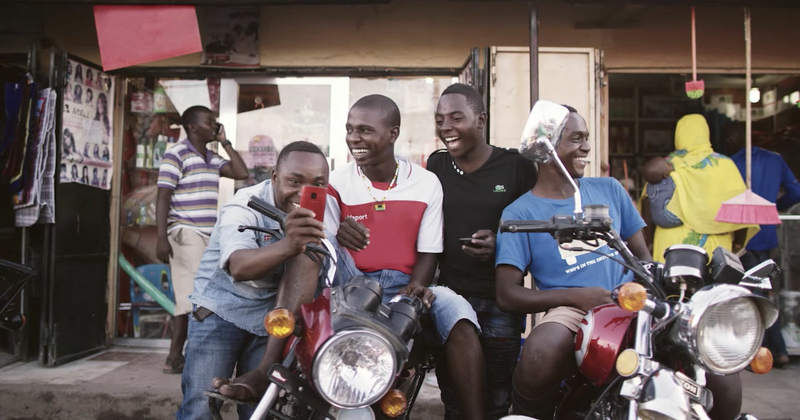 How many times have you found yourself trying to fit twenty people or more in that group selfie? How many times have you tried squeezing in that beautiful sunset in your couple selfie? And how many times have you had to cut out that landmark while snapping one simple selfie? Say goodbye to your selfie stick or stretching your arm out till it hurts. You can place AirSelfie in its designated phone cover (which acts as a charger too) and unchain it whenever you want to take an aerial picture or video. Imagine being able to revolutionize perspective completely. Fly AirSelfie – micro-device HD camera – comfortably from your phone, by using the AirSelfie App and take the most amazing selfies. AirSelfie is compatible with all iOS and Android Operative Systems. You’ll be able to build unforgettable memories through a new perspective. There are no limits to when and where you can use AirSelfie. Outdoor Events: Live the moment from new heights. Don’t miss any detail of your fun day at the beach. Explore new worlds from above! Ladies nights: Capturing the whole picture. Hang mid-air and get the full picture! Aluminum Housing with anodize process. Gyro/Barometer/Geomagnetic sensor & 2.4 GHz Wifi. Built-in Micro SD card 4GB. Altitude Sonar & Stability Camera. Post straight to social media! You can post photos and videos taken with AirSelfie immediately on social media. All photos and videos are automatically sent to the smartphone via WiFi and appear on the app. From there, you can choose which ones to save in the smartphone gallery and then upload to your social networks to start generating likes and shares from your friends and followers. Recharge it easily! The cover contains a battery that can recharge AirSelfie in just 30 minutes when put back inside of it. Alternatively, AirSelfie is also rechargeable directly with the cable. Make it fly up to 1 hour with the portable Power Bank! The AirSelfie Power Bank is designed to be perfectly integrated with the flying camera. It gives you the possibility to charge it up to 20 times before running out of charge, thus allowing AirSelfie a flight autonomy of 1 hour overall. You can pledge it alone or in combination with AirSelfie. AirSelfie was born from the gritty intuition of Co-Founder Edorardo Stroppiana, combined with the love of passionate individuals for technology. We are a vibrant International team who decided to go beyond standard perspectives and the usual rules. With offices in Hong Kong and London, high tech originating In Shanghai and exquisite Italian design, we are truly an international cooperative.Through research, careful planning, skilled tech development and slick design we decided to CHANGE THE RULES by developing a unique product: AirSelfie. We are so enthusiastic to finally launch AirSelfie into the market. We want to share the excitement of finally catching lifesize emotions from up in the air with EVERYONE. People don’t usually fly camera drones because they’re hard to operate, the cost is high and they’re bulky, but with AirSelfie we’re starting a creative revolution, where all these issues vanish into beautiful aerial pictures and videos! Hi Backers! We have worked for 2 years on getting the final version of AirSelfie into the air, testing different prototypes, working side by side with different engineers and finally getting AirSelfie to the point where we can proudly say we are ready for production! We just need your help to get the product out there on a bigger scale in order to get AirSelfie to you as soon as possible! By pre-ordering you will help us manufacture bigger AirSelfie volumes and in return you’ll become the first to catch simple and beautiful life moments from above. We thank you in advance for taking the time to see what we are all about. 1 AirSelfie case, which serves as smartphone cover. All tech projects may run into unexpected issues somewhere along the lengthy winding road which goes from designing a prototype to the actual final product creation. This is why we have tested AirSelfie over and over. We wanted to be 100% satisfied with the final product. We can now proudly say that it is READY. Our manufacturers are ready too. Ready to assemble AirSelfie on a greater scale and we can’t wait to have you try it out. When we get the minimum funding we need to begin the large scale production process, we promise solemnly we will not exceed the shipping time shown on our Kickstarter campaign. HTC has just added another mid-ranger to its Desire series smartphones, dubbed the Desire 10 pro. With specs that sound tempting on paper, the Desire 10 Pro has been launched in India for Rs 26,490… a price segment dominated by the third iteration of the “flagship killer”, the OnePlus 3 (review). We got some time to play with HTC’s latest offering at the launch event and here are our first impressions. The Desire 10 Pro looks a lot like the HTC Desire 10 Lifestyle (review) which was launched recently. The only difference you will find is the dual tone LED flash module on the back that gets a laser autofocus module placed adjacent to it. The defined trims and accents in the colour gold, in our opinion, complement the Polar White and the Royal Blue variant only. The Valentine Lux, which is a powder blue-hued Desire 10 Pro, does not harmonise that well with the gold, and the accents stand out way too much on the Stone Black variant. We missed metal. For the price, we expected a more premium build and feel. That said, the Desire 10 Pro does not feel cheap to hold. It fits in the hands well, and for the most part, you will be able to use it with a single hand. You will find all the ports and the buttons in their usual places. The phone also sports a fingerprint reader at the back. Flipping the phone over, you’ll be greeted by a 5.5-inch touchscreen panel which gets full HD resolution. Colours, viewing angles, touch response… everything was good. The screen brightness was great. On top of that, a non-reflective display should ensure that using the Desire 10 Pro under the bright sun is a breeze. Moving on from the exteriors to the innards. The smartphone is powered by a MediaTek Helio P10 chip coupled with 4 gigs of RAM. Sure, while the Oneplus 3 has 6GB of RAM in comparison, even 4 gigs should be enough to handle every day use smoothly. About the processor, the chip delivered impressive performance on the OPPO F1 Plus, so the performance on the new Desire should be decent too. The device ships with Android Marshmallow and might get the Android Nougat update soon. Tweaks in the icons, HTC’s Blinkfeed along with the good old app drawer collectively sum up the user interface on the Desire 10 pro. Nothing fancy here. We saw some preloaded applications… Facebook, Messenger, Instagram to name a few. 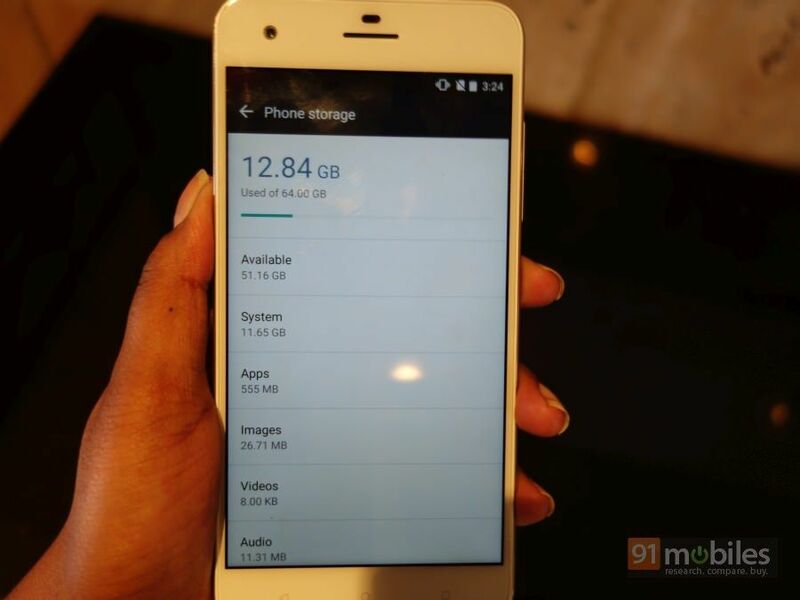 Out of the 64GB of built-in storage, you will be able to use around 52 gigs. Now about the highlight. The Desire 10 Pro packs in a 20MP primary shooter equipped with a BSI sensor. On the front, it gets a 13MP BSI snapper with a 150-degree field of view. In a nutshell, it indicates great low light images. And there’s auto HDR as well, so the users can create the best output that can be created in all lighting conditions. However, that is what the statements and the numbers claim. We’d like to reserve our final comments until we review the Desire 10 Pro. A 3,000mAh battery is there to keep the smartphone running. Considering the specs, the phone should be able to deliver around a day of use. In terms of connectivity, the offers usual features like support for 4G LTE, dual-SIM slots, dual-band Wi-Fi, Bluetooth 4.2, micro-USB, and A-GPS. As we mentioned earlier, the HTC Desire 10 pro competes directly with the OnePlus 3 which is a critically acclaimed smartphone. The Moto Z Play (review) which is in a league of its own, being the most affordable modular smartphone. Whether or not does the HTC Desire 10 pro deserve your pennies, we’ll be telling you in our full review which will be out soon. Lenovo Yoga Tab 3 Plus is the newest tablet from the yoga series that differs by a built-in kickstand and an extra large battery of most competitors. Lenovo offers us a high-resolution display and solid mid-class hardware.How good is the Yoga Tab 3 Plus? This is what we want to find with this test. Incidentally, Lenovo offers the last year seem Yoga Tab 3 Pro continues to. The hardware has received an update and there is still a built-in projector. The Yoga Tab 3 Plus is a cheaper version without beamer. Prices start at 299 euros. Due to the innovative design, I have already used the first generations of yoga tablets. We get the same design with the Yoga Tab 3 Plus. At the bottom there is a handle, with which one can hold it simply. In this handle is a large battery, but also a kickstand, which can be pushed out at the push of a button.Through the kickstand you can place the tablet at any angle. The design is great because of the built-in kickstand. You can simply set it up without extra accessories – sounds simple, but with almost all competitors you have to drag an extra stand, for example, to watch a movie on the train or plane. If you want, you can even hang it somewhere thanks to a hole in the stand. Both the kickstand and the frame are made of aluminum. On the back there is a cover of a kind of artificial leather, which looks quite chic. Overall, the workmanship is very good and solid, since most of it is made of metal. I also noticed two weaknesses. With my model, the kickstand can only be quite difficult. This is different for the predecessors and also at the IFA I noticed that with the Yoga Tab 3 Plus. Maybe this is an error in my model. Not quite as cleanly processed is also the transition from the frame to the display. With a little pressure you can push the frame away from the display – this does not seem to be bad, but a little more glue would have been good. Under the display is a loudspeaker bar with 4 JBL speakers, which are quite good for a tablet. A webcam is installed on the side and a 13 megapixel camera is integrated into the handle. On the left is a volume rocker and a USB type C connector. On the other side is a headset port. The power button is integrated into the handle. Under the kickstand is also a map for MicroSD memory cards. The 10.1 inch IPS display of the Lenovo Yoga Tab 3 Plus is excellent. With 2560 x 1600 pixel resolution is pretty high, slightly higher than the ASUS zenPad 3S 10 or Samsung Galaxy Tab S2 9.7 . Also the remaining properties are good. It is comparatively bright, the viewing angles are very wide and colors are beautifully reproduced. Because of the high resolution see texts very sharp and synonymous videos can be viewed in 4K resolution wonderful. Lenovo has not saved on the display, I have not criticism here. In the Yoga Tab 3 Plus is a Qualcomm Snapdragon 652 OctaCore processor, of which four cores with 1.8GHz and four economical with 1.2GHz clocks. In addition, there is a 3GB large memory and the internal flash memory has a capacity of 32GB. In addition to WLAN and Bluetooth, GPS is also supported and optionally an LTE model can be obtained. The Snapdragon 652 is a solid medium-class chip, which also reflects the benchmarks. For example, in Geekbench 4, 1322 points are scored in the single core test and 3288 points in the multi-core test. At AnTuTu it is 78726 points. As you can see in the benchmark comparison, the results of AnTuTu are comparatively good. The performance is quite good in the benchmark and that is also my game test again. Both Dead Trigger 2, Modern Combat 5 and Asphalt 8: Airborne can be played very well. It can occasionally come to smaller ruckers, but overall the performance for the price is good. Also, I have nothing to complain about the performance. Both the operating system, as well as apps such as YouTube, Lightroom or the Chrome browser run smoothly. This is even if you open many tabs one after the other. In the operating system, Lenovo relies on Android 6.0.1 Marshmallow and the interface is somewhat adapted. So the Quick Settings and notification bar look different, but otherwise there is hardly any difference compared to standard Android. That is a good thing. Lenovo has not integrated quite as many additional features as some other vendors do. So there is no MultiWindow feature that allows you to open two apps side by side. For this, however, you can use a gesture to pull out a bar to adjust the brightness, adjust the tone and add effects. On sound, Lenovo generally attaches great importance to the Yoga Tab 3 Plus. In addition to the four JBL speakers, you can customize the sound on the softwaresided side with the Dolby app. If you are concerned with sound, it will certainly be useful. I however always noticed once again that the soundtrack with a video was not synonymous – whether that is related? Possibly and possibly by software update is easy to fix. Sometimes everything seemed to run as usual, but now and then the mouth movements of a video do not fit perfectly to the soundtrack. In the video for the test you see an example that I recorded during the playback of a YouTube video.The mouth movements do not fit perfectly to the soundtrack – the difference is very small, but quite noticeable. Occasionally, the distance from the sound to the video was even greater. On other devices, the video from the example sound and video track were perfectly synchronized. Lenovo now knows of the problem, the support forum there to a discussion . A correct solution, however, is not yet available. The problem is solved by disabling hardware acceleration for each app.But this can hardly be expected of a normal user, especially with a device that is positioned as an entertainment tablet. The recharge time has always been one of the strengths of the Yoga Tablet series and so it is also with the Tab 3 Plus. According to Lenovo is the 9300mAh unusually large battery for a duration of up to 18 hours. In my test I came up with an accumulator time of just 16 hours. Even if the 18 hours in my test were not reached, 16 hours are a comparatively very good value. I always carry the same battery test, so also with this one here. Thus, a 720p video runs in an endless loop until the battery is empty. WLAN is switched on, the sound is switched off and the brightness is set to 50 percent. Every now and then, Gmail, Facebook, and other social networks are not enabled. I consider the Lenovo Yoga Tab 3 Plus for a perfectly well-implemented tablet. The concept with handle, extra large battery and built-in kickstand I find great. My Akkutest has shown that the tablet on this point is indeed exemplary. Also the rest can be seen at a price of 299 euros – display and speakers are great, the performance is good and also Marshmallow is a solid operating system. However, some features are missing, which one gets for a bit more money in the competition. This primarily includes a fingerprint reader, the example, the ASUS zenPad 3S 10, Huawei MediaPad M3 and Samsung Galaxy Tab S2 offer. Also a housing completely made of metal would have been nice. As mentioned in my test, at least my model also has two very big weak points. Thus, the hinge of the kickstand is somewhat difficult and the sound is partially synonymous with videos not synchronous. I could not try a second model, so I do not know how far this is. Other users also report asynchronous sound. These are two points, which you should look at the dealer of your choice if possible before the purchase. Before the problem with the asynchronous sound is solved, I advise not to buy – very bad. Even with the rise of ecommerce, nothing beats an in-store shopping experience. Aside from books, electronics and office supplies, a majority of people still prefer to shop in a physical store, according to the Walker Sands Future of Retail 2016 report. The report, which surveyed more than 1,400 U.S. consumers, revealed surprising predictions about the growing importance of supply chains and future of retail. Although people might prefer to shop in stores, there’s been a year-over-year increase in the frequency of online purchases since 2014. Today, nearly a third of consumers say they shop online at least once a week — a 41 percent increase from two years ago. Improvements in the supply chain are helping fuel this growth, as consumers demand fast and reliable ways to purchase and receive items. With Amazon and third-party logistics providers improving inventory management practices and fulfillment and delivery procedures, frequent online shoppers expect a variety of shipping options such as same-day and overnight delivery. The main incentives to shop online today are free shipping, one-day shipping and free returns. Nine in 10 consumers admit that free shipping make them more likely to shop online. This holiday season, most shoppers (76 percent) plan to do their shipping through their smartphones or tablets because of convenience. Websites such as Amazon and eBay will be the most popular sites, according to a report by AMEX. On average, shoppers — online and in stores — are predicted to spend $908 on gifts alone this year, a $69 increase from last year. As amazing and fast ecommerce and the supply chain have become, more consumers purchase items in-store rather than online. Ninety-two percent of groceries are purchased in stores, followed by 77 percent of consumer packaged goods and 76 percent of clothing and apparel. That doesn’t mean people won’t purchase these items online, however. More than half of polled consumers say they would be willing to do their grocery shopping online. More than a quarter of respondents say they would buy online all other categories, from books to clothing to electronics. Walker Sands predicts that the physical and online shopping worlds will eventually collide. Brick-and-mortar stores are beginning to incorporate mobile technology to improve in-store experiences by offering discounts, coupons and loyalty rewards programs. The agency also predicts virtual reality technology will provide “in-store” ecommerce experiences. The most flexible operating system, Windows appears on many more makes and models than Chrome OS or Mac OS X. Windows notebooks range in price from under $150 to several thousand dollars and offer a wide array of features from touch screens to fingerprint readers to dual graphics chips. Windows 10, the latest version of Microsoft’s flagship operating system, provides a number of improvements over Windows 7 and 8, including the ability to switch between tablet and desktop modes, a revamped Start menu with live tiles and the powerful Cortana digital assistant. Since its launch in July 2015, Windows 10 has also added a host of improvements, including the ability to use follow-up questions with Cortana, search your email using natural language and use your stylus to scribble almost anywhere. All MacBooks come with Apple’s latest desktop operating system, macOS Sierra. Overall, the operating system offers similar functionality to Windows 10, but with a different take on the interface that substitutes an apps dock at the bottom of the screen for Microsoft’s Start menu and taskbar. Instead of the Cortana digital assistant, Mac users get Siri. They can also perform transactions with Apple Pay, take calls or texts from their phones and unlock their laptops with an Apple Watch. However, macOS isn’t made for touch, because no MacBook comes with a touch screen. MORE: MacBook Air vs MacBook Pro: What Should You Buy? Found on inexpensive “Chromebooks” such as the Lenovo 100S Chromebook, Google’s OS is simple and secure, but limited. The user interface looks a lot like Windows with an application menu, a desktop and the ability to drag windows around, but the main app you use is the Chrome browser. The downside is that many of the “web apps” you use don’t work particularly well offline. However, the operating if you need a device to surf the Web and check email, navigate social networks and chat online, Chromebooks are inexpensive and highly portable, and they offer good battery life. Google is also slowly adding support for Android apps , with a handful of Chromebooks able to run Google Play today. If you decide you want a 2-in-1, note that bendables usually have far better battery life than their detachable brethren. Intel Core i5: If you’re looking for a mainstream laptop with the best combination of price and performance, get one with an Intel Core i5 CPU. Models that end in U (ex: Core i5-7200U) are the most common. Those with the a Y in the name are low power and have worse performance while models with an HQ offer four cores. Intel Core i7: High-end performance for gaming rigs and workstations. Models with numbers that end in HQ or K use higher wattage and have four cores, allowing for even faster gaming and productivity. There are also Core i7 Y series chips that have lower power and performance. Intel Atom: Found on very low-cost laptops — think $250 and under — Atom offers basic performance but more battery life than Celeron/Pentium. Intel Pentium / Celeron: Common in sub $400 laptops, these chips are a little faster than Atom, but offer worse battery life. If you can pay more to get a Core i3 or i5, you’d be better off. RAM: Some sub-$250 laptops come with only 2GB of RAM, but ideally you want at least 4GB on even a budget system and 8GB if you can spend just a little more. For most users, 16GB or more is overkill. Storage Drive (aka Hard Drive): Even more important than the speed of your CPU is the performance of your storage drive. If you can afford it and don’t need a ton of internal storage, get a laptop with a solid state drive (SSD) rather than a hard drive, because you’ll see at least three times the speed and a much faster laptop overall.Among SSDs, the newer PCIe x4 (aka NVME) units offer triple the speed of traditional SATA drives. Sub-$250 laptops use eMMC memory, which is technically solid-state but not faster than a mechanical hard drive. $150 to $250: The least-expensive notebooks are either Chromebooks, which run Google’s browser-centric OS, or low-end Windows systems with minimal storage and slower processors, such as the HP Stream 11 and the Lenovo Ideapad 100S. Use these as secondary computers only or give them to the kids. $350 to $600: For well under $600, you can get a notebook with an Intel Core i5 or AMD A8 CPU, 4 to 8GB of RAM, and a 500GB hard drive, all respectable specs. However, at this price, most notebooks don’t have an SSD, a full-HD display or long battery life. There are a few noteable exceptions, such as the Asus VivoBook E403Sa and Lenovo ThinkPad 13. 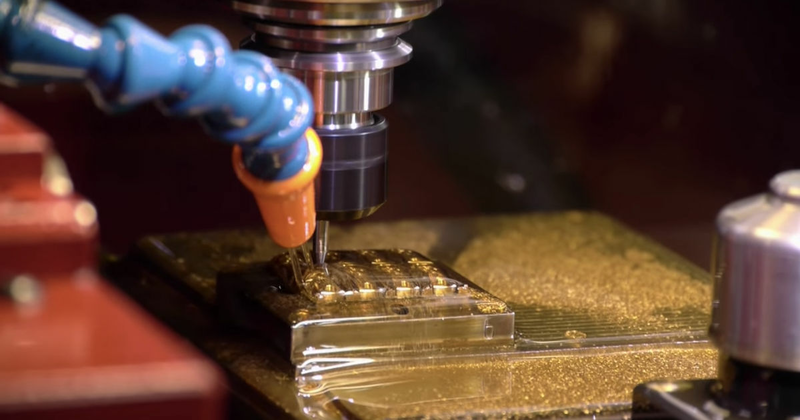 $600 to $900: As you get above $600, you’ll start to see more premium designs, such as metal finishes. Manufacturers also start to add in other features as you climb the price ladder, including higher-resolution displays and SSDs. Above $900: At this price range, expect notebooks that are more portable, more powerful or both. Expect higher-resolution screens, faster processors and possibly discrete graphics. The lightest, longest-lasting ultraportables, like the Apple MacBook and the Dell XPS 13, tend to cost more than $1,000 (although you can get the Dell for less if you don’t opt for a touch screen). High-end gaming systems and mobile workstations usually cost upward of $1,500 or even as much as $2,500 or $3,000. There are already many months always rumors that Samsung a Galaxy Tab S3 brings out, the successor to the Galaxy Tab S2 . While it was often assumed that the IFA should already be available, it was unlikely. After all, a revised version of the S2 was released in the summer.But so slowly is for a Galaxy Tab S3 time. According Sam Mobile it should be ready early 2017th Several references confirm this. So in the Indian’s Export / Import database Zauba a so-called Samsung SM-T825 has emerged. This is supposed to be the LTE version of the new tablet, while the WLAN model seems to bear the designation SM-T820. In early November, a SM-T825 also in a surfaced benchmark database , albeit without results or specifications. Such a tablet seems to really exist. The first version of the Samsung Galaxy Tab S2 was released in 2015 and even then the processor was not the newest. Nevertheless, I liked the tablet very much. 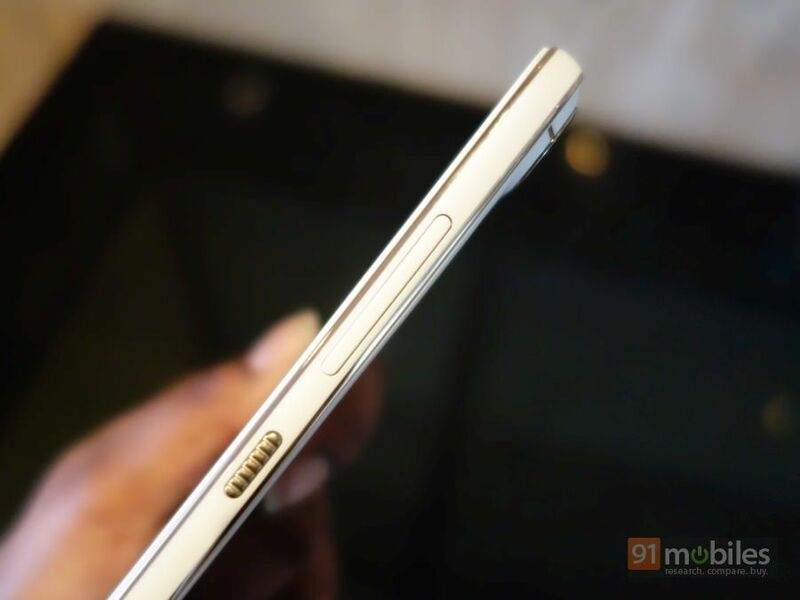 It is still with only 5.6mm one of the thinnest devices out there. The workmanship is good, the frame is made of metal, but the back is still plastic. Meanwhile, the S2 is still good, but in my opinion no longer the best high-end tablet out there. Thus, in the 9.7-inch tablet offers the ASUS zenPad 3S 10 with a metal case better processing, it also has a fingerprint reader and in the benchmarks, it is faster than the S2. 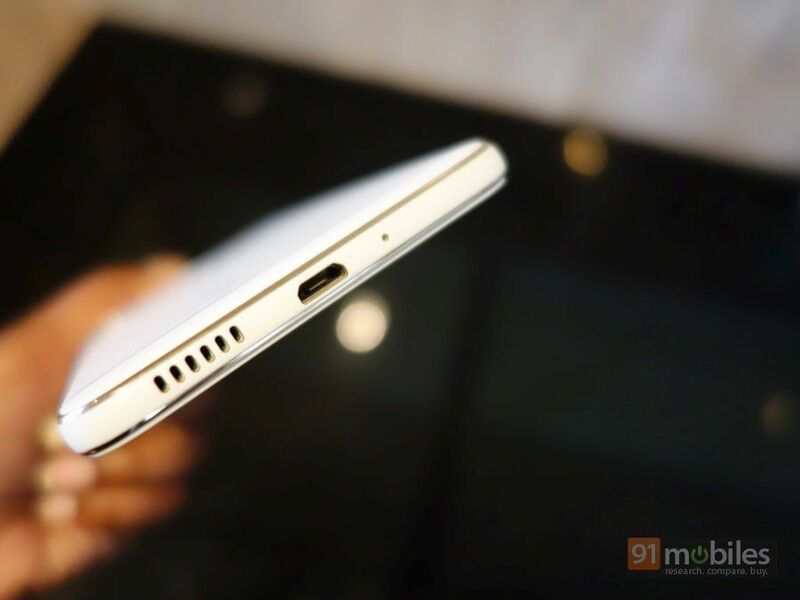 The 8-inch device is Huawei MediaPad M3 a powerful alternative – also with fingerprint reader, metal housing and snappier performance. What will the Samsung Galaxy Tab S3 offer us? So far we do not know. However, it could be among the first tablets to appear directly with Android 7.0 nougat. Except for Google’s own devices has currently no nougat. In addition, it is also for Samsung so slowly at the time a tablet with a complete metal housing to bring out. The competition also creates it.